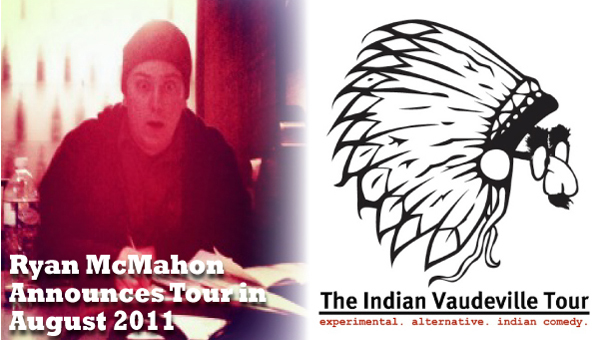 Ojibwe/Métis comedian Ryan McMahon takes his Indian Vaudeville Tour to a community near you starting in August 2011. The amazingly funny and diverse comedian Ryan McMahon (and his alter-ego Clarence Two Toes) announced via YouTube video last week that he will be taking the Indian Vaudeville Tour out into Turtle Island country. As well as playing shows, Ryan will be shooting a documentary of his journey. Ryan says that he will travel to your community for a plane ticket, a hotel where he won’t die in the night and whatever you think you should pay him. A humble tactic for one of the hottest Indigenous comedians around right now for sure. You can check out the first dates of this tour at the Soaring Eagle Resort & Casino in Mt. Pleasant, Michigan Thursday August 4th and Saturday August 6th which also falls on their 27th Annual Saginaw Chippewa Pow Wow weekend. 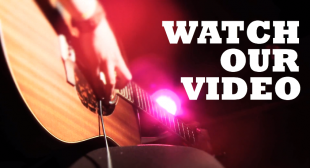 For more information on how to bring Ryan McMahon to your community and more about the Indian Vaudeville Tour, check out his website and the video below. BOOM. News ᑭᒥᐊᐧᐣ Kimiwan Zine Turns One!